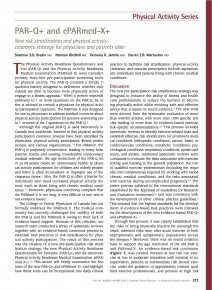 On behalf of the PAR-Q+ Collaboration, we are pleased to announce that the 2016 PAR-Q+ and 2016 Q-AAP+ were officially released in the Health & Fitness Journal of Canada and this website (the official website for the PAR-Q+ and Q-AAP+). The 2016 versions of the PAR-Q+ and Q-AAP+ replace all previous versions and reflect another year of systematic evaluation by our team and various international collaborations. We are honoured to continue to work with colleagues from around the world on the evaluation and refinement of evidence-based best practice in pre-participation screening and risk stratification. Bredin SS, Gledhill N, Jamnik VK, Warburton DE. 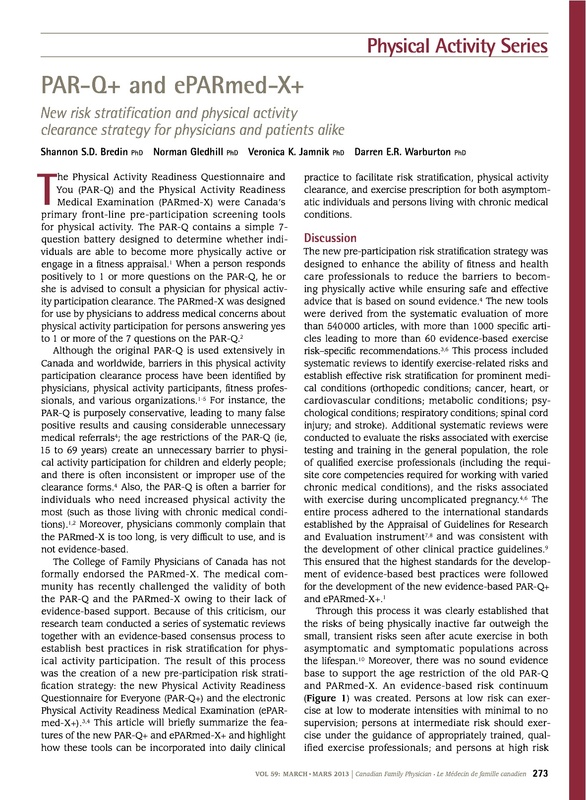 PAR-Q+ and ePARmed-X+: New risk stratification and physical activity clearance strategy for physicians and patients alike. 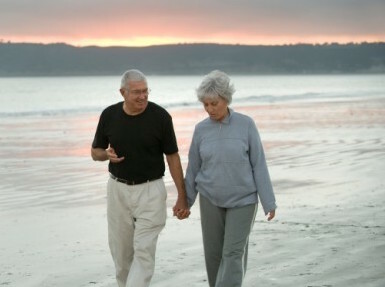 THE BENEFITS OF ENGAGING IN REGULAR PHYSICAL ACTIVITY/EXERCISE FAR OUTWEIGH THE RISKS! Active individuals are at a reduced risk for at least 25 chronic medical conditions. 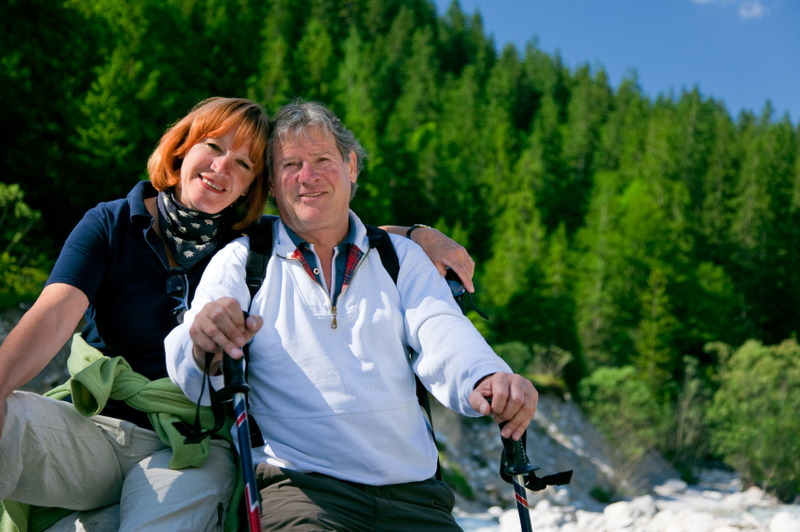 EVERYONE CAN BENEFIT FROM BEING MORE ACTIVE! 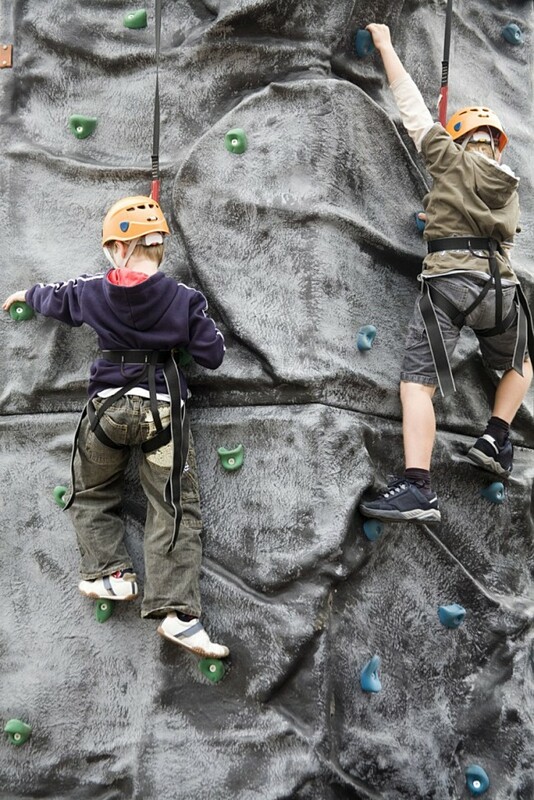 Whether a young child or an older adult, our new risk stratification strategy reduces the barriers to physical activity participation for EVERYONE. 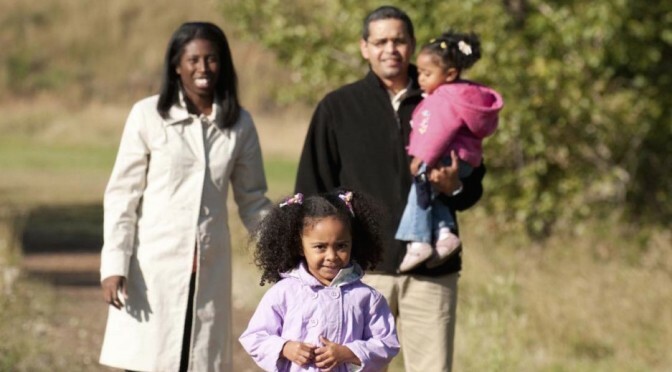 EVERYONE CAN REAP THE HEALTH BENEFITS OF PHYSICAL ACTIVITY! We are pleased to welcome you to our website dedicated to the new Physical Activity Readiness Questionnaire for Everyone (PAR-Q+) and electronic Physical Activity Readiness Medical Examination (ePARmed-X+). This is the OFFICIAL AND CONSENSUS-PANEL APPROVED website for the PAR-Q+ and ePARmed-X+. CLICK THE LINKS IN THIS POST TO ACCESS THE ONLINE PAR-Q+ and ePARmed-X+ PROGRAMS. On behalf of the PAR-Q+ Collaboration we look forward to providing unparalleled access to leading international organizations and related resources for reducing the barriers to physical activity/exercise participation, and promoting the health benefits of physical activity/exercise.